By purchasing goods from www.beleafinnature.co.uk you agree to our general terms and conditions. All consignments must be signed for, unless you have previously given your consent, at the time of placing your order, for the consignment to be left somewhere without a signature. Please note if your parcel is left at your request, without a signature, you forfeit your right to make any claim with ourselves or the courier in the event of loss or damage. It is your responsibility to check your delivery for loss or damage. If you are not completely satisfied with your purchase, you are entitled to cancel this contract if you so wish under the Distance Selling Regulations, provided you exercise your right no longer than 3 working days after the day on which you receive the products. Please contact us within 3 days to notify us of the return and reason for this. Then simply return the item to us in its original condition and unopened within 14 days of receipt. 3. The cost of returning the item to us is your responsibility. Please note that, with the exception of faulty items or goods damaged in transit, we are not responsible for return postage. Please note:- Unauthorised returns shall be disposed of after a period of 28 days. Refunds for authorised returns will be processed within 7 days of receipt and will be issued via the original method of payment used by the customer. If a customer changes their mind and asks us to cancel a purchase before we have dispatched it, we can do this and issue a full refund, providing that the order has not yet been collected by our courier. If a buyer requests to cancel an order after the goods have been dispatched or delivered to them, then our returns procedure must be followed. If a buyer refuses to accept a delivery from our courier because they wish to cancel the order, and the parcel is subsequently returned to us by the courier, then this will be treated as an unauthorised return. Your Order has not arrived. If your consignment has not arrived within the expected delivery timescale please contact us and we will be happy to track the item. Sometimes for reasons out of our control, deliveries can be delayed. We will do our best to help if this happens, but we cannot be held responsible for delays and we do not offer compensation for late deliveries. Lost consignment. Unfortunately, on rare occasions, things can go missing. If a parcel appears to have been lost in transit, please contact us and we will contact our couriers and rectify the problem as soon as possible. We will be unable to replace or re-send any order until this process has been carried out, and this can take up to seven days. If an item is confirmed as lost, then we will offer a full refund or replacement. Damaged consignment. If a parcel clearly arrives damaged / opened then the customer must refuse delivery. We will replace any damaged order at no cost to the buyer, but only if the item is returned to us by the courier. We aim to package the order to protect from damage in transit. However in the unlikely event the order is found to be damaged when the parcel is opened then the returns policy applies and we will replace any damaged order at no cost to the buyer or offer a full refund providing that the returns policy has been followed. . When you place an order with us it will be deemed that you have read, understood and agreed to these Terms & Conditions, our Delivery and Returns Policy and our Privacy and Cookie Statement. If you are unhappy with any part of these terms and conditions, you should contact us before placing an order. You may place an order through our website or by telephone and by doing so, you are making an offer to Beleaf in Nature to purchase the goods outlined in your order upon the terms described in your order. When you place an order, we will require your name, email address, payment details, phone and address details. This information is required in order to process your request and inform you of acceptance of your order. A contact phone number / email address is needed so that we can get in touch if there is a problem with your order. After placing an order online, we will confirm that your order has been received but our contract for the sale of our products will only exist once an order has been accepted, processed and dispatched to you. Beleaf in Nature reserves the right to reject any offer of purchase by you at any point. 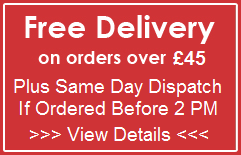 Should there be a problem with your order, we will contact you either by phone or email. Please ensure that you check all items on receipt, as faulty or damaged items must be reported within 3 days of receipt of the parcel. Please note that whilst we will make every effort and reasonable care to keep your order details and payment secure, we cannot be responsible for any loss you may suffer if a third party procures unauthorised access to any information that you supply when accessing or ordering from the Beleaf in Nature website. We will take all reasonable care to ensure that all details, descriptions and prices of products appearing on the website are correct. Although we aim to keep the website as up to date as possible, the information appearing on this website at a particular time may not always reflect the product at the exact moment you place an order. The images shown online are for illustration purposes only and are not intended to be binding. All products may differ slightly in design and colour. Measurements are approximate. The light pull cord is not supplied.